In a media conference this morning, Wikileaks editor-in-chief, Krissten Hraffnsson, lawyer Jen Robinson and former consul at the Ecuadorian Embassy in London, Fidel Narvaez announced that not only had Ecuador been spying on Julian Assange but had put his meetings with lawyers and doctors up for sale for 300 million euros. In the fight against Ecuadors attempts to evict Assange. This is a very serious breech of client to lawyer privilege as well as client to doctor. Especially since many of his meetings with lawyers have been for Ecuador’s treatment of their asylee. Ecuador Foreign Minister Jose Valencia has reportedly said that Assange will have consequences to breeching the protocol put in place in November of last year. This is just another ploy to expel the political refugee as Moreno has attempted to sell Assange to the US government several times as reported by the NY Times. Last week, Wikileaks revealed that the eviction of Assange could take place within hours or days due to a tweet they made citing a link to the INA papers which expose the current Ecuadorian government’s corruption. Moreno then claimed Assange was guilty of hacking phones and computers in order to get his personal information. Ecuador will review Assange’s supposed breeches tomorrow to determine a punishment. This will probably include mostly false information. This is impossible as Assange has not had internet access since March of last year. In a letter released by the Wikileaks Twitter account today, it shows that Ecuador considers Assange’s attempts at blocking their spying is an act that breaks protocol. He simply pointed a bright light into one of their cameras. 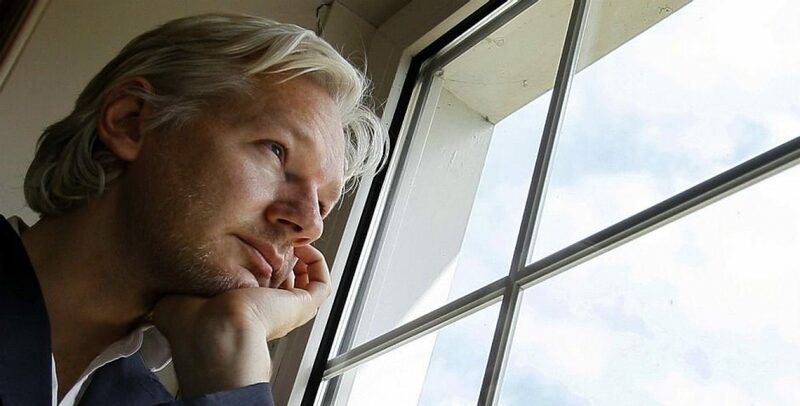 Julian Assange is no longer being treated as a political refugee but as a prisoner at the expense of his health and well being in order that the US government can extradite him to face charges. His basic human rights are being violated by a dictatorship like president. He has been tortured by this government through solitary confinement for 8 months and they isolate him in a small room for 60 hours a week. His health is slowly deteriorating due to lack of sunlight, fresh air, proper exercise and proper medical care. He has never been charged with a crime. According to the US constitution a man is innocent until proven guilty in a court of law. The treatment of Assange should have us all protesting in the streets as this is not just about one man. It is about our rights as individuals to free speech, the right to know and how are we are treated if we are granted asylum. Journalists everywhere should be trembling in fear as this will set a precedent for how any of them will be treated if they report anything other than government protocol. Today it is evident that our freedoms can be sold to the highest bidder. It is a day we should hang our heads in shame. It is a day we must remember. History will not be kind.